Director Nila Madhab Panda is back with Kaun Kitne Paani Mein. 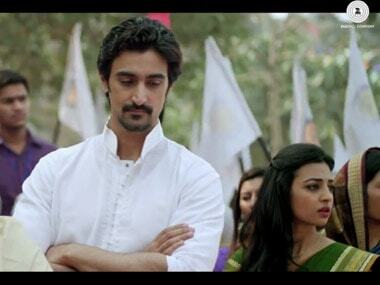 Starring Kunal Kapoor & Radhika Apte, the film looks like it'll be one fun ride! 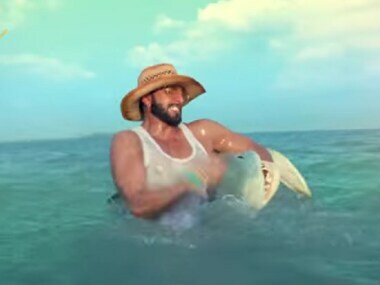 PETA's criticism of Ranveer Singh's Rupa Frontline ad does not do itself or the sharks any favours. Sanjay Dutt hosted a New Year's party where Ameesha Patel, Ashmit Patel and Gulshan Grover were seen. Here's a quick look at a few of the details that have made Bollywood stars seem badass in movies over the years. Did we miss some of your favourite props? Let us know in the comments. To celebrate first anniversary of their restaurant, Hakkasan, the Michelin starred restaurant in Bandra, Kishor and Kintu Bajaj hosted an elegant lunch for their friends and valued patrons. The elaborate lunch was attended by prominent celebrities from the glamour and corporate world. Here are the images.